In the grand scheme of things, deciding which video game system is right for you is quite insignificant. But with video games sales on pace to be the #1 form of discretionary entertainment, outpacing both movies & music; retailers, entertainment & software companies are spending millions and are giving consumers more and more choices in both game platforms and games. Choosing which is right for you can be more daunting a task than one would think. First, you have to make a decision on how much money you are willing to spend. Be practical. If you’re just looking to play video games and nothing more, a PC platform can be quite expensive when compared to a console video game system. But if you or your family already have a computer, many of the popular games available for console systems are available for the PC. After all video games are designed and tested on a PC (as well as being tested on the console itself). With prices under $200, game consoles such as Microsoft’s Xbox, Sony’s PlayStation 2, and Nintendo’s Game Cube offer a wide variety of games with only a no need for any technical knowledge in order to play a game. PCs, on the other hand, offer much more than just a video game platform, all of which are well-known and documented. Video game consoles also, unfortunately, have a much more limited life than PCs do, Microsoft’s Xbox is the most technologically advanced video game system on the market today, but rest assured the next generation game console is already in the works. Along with Sony & Nintendo’s next generation, game systems will continue the cycle of replacing their predecessors every few years. PCs offer the unique ability to upgrade hardware, with some technical experience required, but without having to replace the entire computer. Either by adding memory, storage space, graphics cards, or even a new motherboard, you can extend the life of your PC without spending the high prices of a completely new computer. Also, you will have to consider whether games from the previous generation system will be playable on next-generation consoles. With PCs, if a game works on your current system it will work on any future computer you may purchase. Another decision that you should make when deciding on a platform is what type of video games you most enjoy and/or intend on playing. Many action games thrive on the console systems, and there is a huge variety of titles. Much greater than what is available for the PC. Video game consoles also seem to get newer games titles first. Action games such as Splinter Cell, and Grand Theft Auto became popular on a game console before becoming available on the PC platform. Sports video games such as football, hockey, baseball, basketball are better left to the game consoles. This could explain the drop in price for NFL Madden 2003 for the PC while the console version is still priced at its original release price. Sports games have a huge fan base but playing against another human opponent is much more enjoyable. This doesn't work the same on the PC. 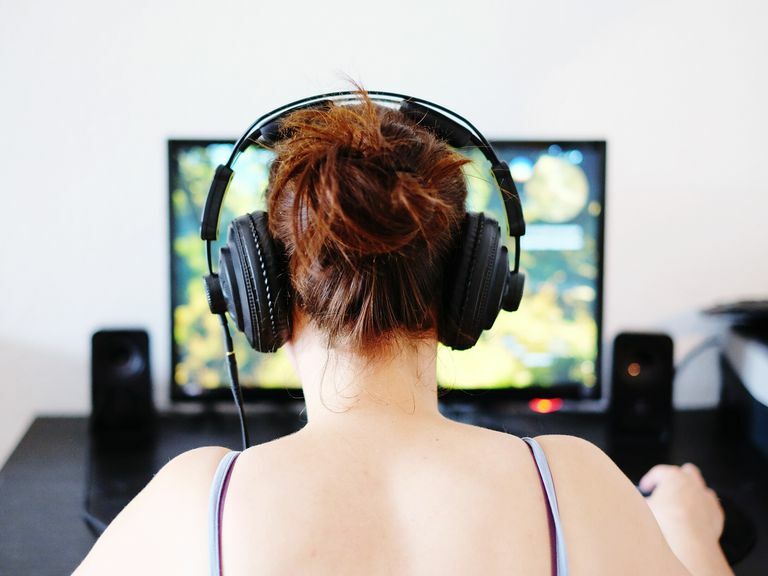 Where PCs rise above consoles video games is in strategy, simulation, and real-time strategy games where the fast-paced use of both the keyboard and mouse are required. Games such as Age of Mythology, Command & Conquer Series, and Age of Empires are great examples. First person shooters for the PC, using the keyboard and mouse are extremely popular and work very well in that game-play format. Many fans say that first-person shooters have much better game-play on the PC than they do on consoles. A final consideration that may play into your decision is the availability of games that have online game-play capabilities. Games such as Everquest, Asherons Call, & Age of Empires have thrived in the multi-player universe. Virtually every PC has Internet access thus allowing gamers to play online anytime. Consoles are slowly coming on board, with Xbox live the best example. The downside to that is that the small number of console games that are currently available for multi-player capability as well as any fee charged on top of your Internet service provider charges.